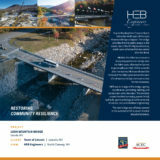 During the ACEC-NH 2018 Engineering Excellence Awards HEB was awarded Honorable Mentions for both the Nansen Ski Jump Restoration and Loon Mountain Bridge Replacement projects. Jay Poulin and Josh McAllister attended the awards luncheon was held on March 15th at the Puritan Backroom in Manchester, NH. 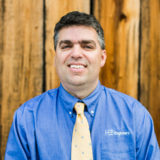 We are pleased to welcome Jeff Sires to HEB this week! Jeff recently is a Conway native who spent the last few years with the Kenai Watershed Forum in Soldotna, Alaska. 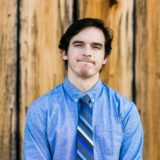 He completed his Bachelor of Science in Civil Engineering from the University of New Hampshire in 2015 and joins us as a Junior Civil Engineer. Following the late October storms HEB engineers were out in the field, helping our Communities recover and guiding them through the maze of disaster funding. 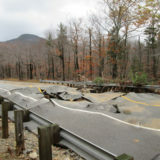 Roads were washed out, bridges were flooded, and HEB was able to assist in emergency permitting and repairs, grant assistance, and long-term planning and repairs. HEB had two teams in this year’s Master of Putt League at Pirate’s Cove. The Team’s battled it out all season long to be within five points of each other and taking 3 rd and 4 th Place overall! They obviously practiced this year, after coming in 5 th place in 2016… Watch out 2018! 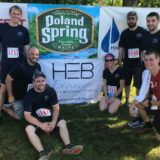 HEB had a team of eight in this year’s 4 on the Fourth Road Race. The race had a record-breaking number of registrants with 2,235 registering to race. The race proceeds benefit the Bridgton Public Library and other charitable organizations. Hope to see you there next year! We are pleased to welcome Mike Malkin to HEB this week! 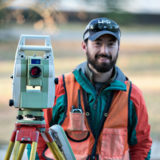 Mike will be joining us as a Survey Technician. HEB welcomes newest team member, Colin Dinsmore. 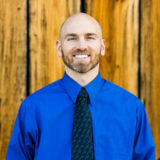 We are pleased to welcome Colin Dinsmore to HEB this week! Colin brings with him over a decade of experience in the engineering world. 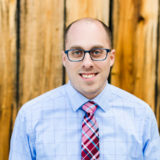 In addition to being our newest Senior Civil Engineer, Colin will be the Regional Office Manager for Maine operations in our Bridgton office! Jay Poulin, HEB President and Lead Civil Engineer, has been nominated as the Vice Chair of the Androscoggin Valley Hospital Board of Directors for a second term. 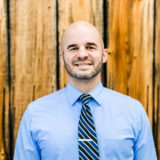 Jay has been a Board Member since 2009.